A 49 year-old female every day smoker, presented with a Left Upper Lobe (LUL) solitary pulmonary nodule (SPN) with an uptake of 5.2 SUV on PET. The SPN measured 15mm and just three months prior measured 8mm, almost doubling in size. Using Veran’s same-day Inspiration/Expiration CT scan protocol, a vPad™ was placed and the scan was sent to the planning station via DICOM. 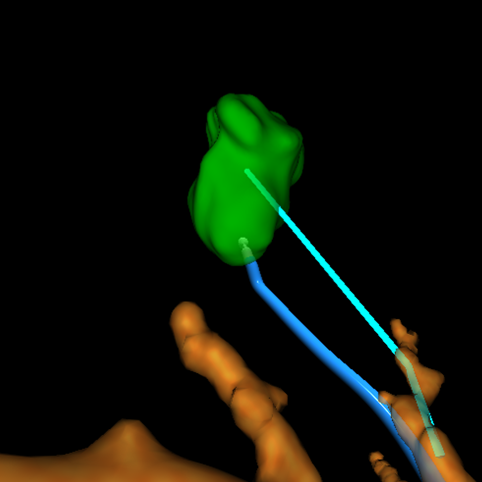 The LUL nodule was noted having 9mm of motion during the respiratory cycle. 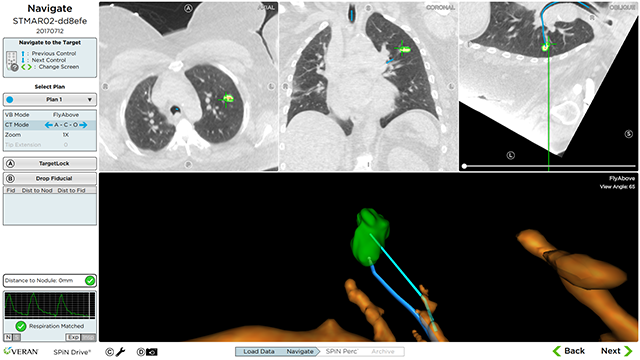 The SPiN Planning™ software was used to automatically segment the 15mm LUL nodule. 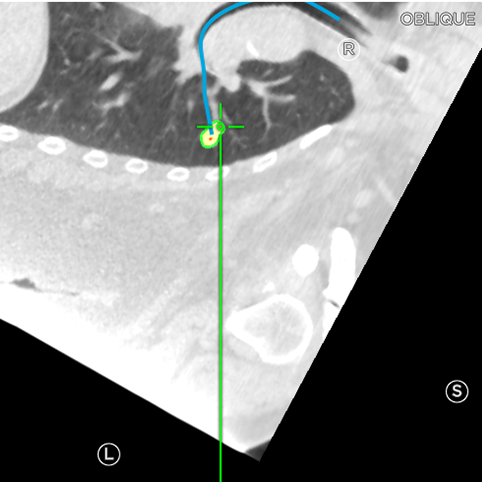 Using Veran’s SPiN Thoracic Navigation System™ and a pre-determined pathway, Dr. Apostle was able to obtain multiple biopsies of the set target in the LUL. 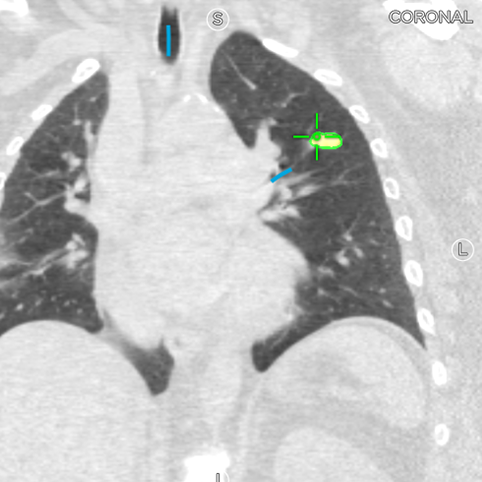 Due to nearly 1cm of motion during the respiratory cycle, the biopsies were accurately obtained using respiratory gating to let Dr. Apostle know when the position of the nodule matched the CT data being used. After obtaining enough biopsies for pathology to be able to make a definitive diagnosis, a BAL of the LUL was performed prior to ending the procedure. The patient recovered from the procedure without event and was discharged home the same day. Final pathology results indicated Stage IA Squamous Cell Carcinoma, and the patient was treated with SBRT.